The entry into a new millennium has been accompanied by unrelenting growth in the rate of scientific discovery, and this is no better exemplified than in the field of medicinal chemistry. This subject has flourished under the influence of major advances in the component disciplines that make it distinctive, but continues to be confronted by new opportunities to explore and refine the predictive potential of drug design in response to the quest for greater selectivity and subtlety to meet new challenges to human health. A special topic article in Pure and Applied Chemistryappears in this context very timely. The author, Paul W. Erhardt, has undertaken the mammoth task of addressing this complex and rapidly evolving field of endeavor, and offers his distinctive interpretation and vision of challenges and opportunities. The following has been extracted from the article abstract and introduction that appeared in Pure and Applied Chemistry, Vol. 74, No. 5, pp. 703-785 (2002). The future of medicinal chemistry as both a pure and an applied science has been considered relative to trends that are already having a significant impact upon drug discovery and development. Such trends include pursuing therapeutic efficacy, addressing 3-D structure within database settings, assuring absorption, directing distribution, controlling metabolism, optimizing elimination, and avoiding toxicity. As the exploration of these topics proceeds by deploying combinatorial chemistry coupled to high-throughput screening, medicinal chemistry will play a key role in interpreting the underlying structureactivity relationships. This will cause the overall process of drug discovery and development to be knowledge generating. As fundamental knowledge accumulates across all of these areas, virtual approaches will eventually become firmly anchored to experimental and theoretical databases having validated clinical predictability. Given the highly interdisciplinary nature of medicinal chemistry and its potential applications across a myriad of future life-science research activities, the review presented in Pure and Applied Chemistry is necessarily limited only to those possibilities that stand out upon taking a broad purview of the fields most prominent trends. From this vantage point, however, at least a glance is cast toward some of the more exciting opportunities for the future of medicinal chemistry. The document includes nine sections. Each sections overview presented below lists what topics are and are not covered and indicates the reasoning behind these choices. It also describes the consistent tone that was sought while attempting to elucidate the numerous technologies that necessarily become encompassed by the variously highlighted activities. As fundamental knowledge accumulates across all of these areas, virtual approaches will eventually become firmly anchored to experimental and theoretical databases having validated clinical predictability. While initially contemplating how medicinal chemistry might continue to evolve as both a basic and applied science, it became apparent that it would be useful to first consider where medicinal chemistry has been and how it has come to be what it is today. Thus, toward quickly establishing a context from which the future might be better appreciated, and perhaps even seen to already be repeating itself amongst a new set of players and technologies. Section 2Practice of Medicinal Chemistry provides a short discourse about medicinal chemistrys emergence as a formalized discipline, its early developments, and its present status by considering how medicinal chemistry has been practiced across jumps of about 25-year increments. This section does not include a chronological list of medicinal chemistrys many contributions, nor does it highlight the many accomplishments of its noted investigators. Both of the latter can be found elsewhere as part of more traditional, historical treatments. Non-linear Relationship of Medicinal Chemistry to Basic and Applied Research. Adapted from a figure provided by F.A. Cotton (Chem. Eng. News Dec. 4, p. 5, 2000) as part of his summary and commentary about a book entitled "Pasteurs Quadrant" (D.E. Stokes, Brooking Press, Washington, DC, 1997). Medicinal chemistrys near and longer-term futures are considered in Section 3Evolving Drug Discovery and Development Process relative to several of todays trends that are already having a major impact upon the drug discovery process. A working definition for medicinal chemistry is recited at the opening of this section so that medicinal chemistrys immediate and future roles can be more clearly ascertained. Section 3 also sets the stage to later consider where several drug development topics may be headed in the near and longer term. Discussions about gene therapy, vaccines, and biotech-derived therapeutic agents have not been included in Section 4Pursuing Efficacy, which addresses medicinal chemistry s continued pursuit of efficacy. The aforementioned topics primarily reside within the domains of other disciplines. Readers are encouraged, however, to consult other reviews offered for these areas in order to appreciate how their advances are sure to have a dramatic impact upon future life-science research and its interface with medicinal chemistry. Alternatively, because assessing molecular conformation is such an integral part of practicing medicinal chemistry, several aspects of this key topic are considered within Section 5Assessing and Handling Molecular Conformation. In particular, the handling of chemical structures within database settings (e.g., chemoinformatics) is discussed in detail. Several drug development topics are regarded as critical factors that will have a pivotal influence upon medicinal chemistrys continuing evolution in the future. Each of these topics is briefly addressed within Section 6ADMET Considerations. These key topics include assuring absorption; directing distribution; controlling metabolism; assisting elimination; and, avoiding toxicity (i.e., the traditional absorption, distribution, metabolism, elimination, and toxicity [ADMET] studies that previously have been undertaken by pharmaceutical companies during the secondary stages of preclinical drug development). As an important extension of the ADMET discussions, nutraceuticals considered in parallel with pharmacological synergy are also addressed in this section. Issues pertaining to medicinal chemistrys future roles in pharmaceutical intellectual property (IP) and to trends associated with process chemistry, are raised within Section 7Process Chemistry Considerations. With todays highly publicized emphasis upon genomics and proteomics, at least an abbreviated discourse about process chemistry is included so that this fundamental aspect of medicinal chemistrys link with synthetic chemistry remains appreciated. Thus, the unmet need for large-scale, stereoselective synthetic methodologies is briefly discussed. While it is beyond the scope of this review to discuss the impact that progress in each of several analytical methods is likely to have upon medicinal chemistry, X-ray diffraction has been selected to provide a representative discussion within Section 8Analytical Chemistry/X-ray Diffraction. As is often acknowledged by researchers from various disciplines, "science moves forward according to what it can measure." Presently, there appear to be numerous promising advances among various analytical techniques that can be used to study drug-receptor interactions. For example, readers are encouraged to seek other reviews in order to appreciate the potential impact that anticipated developments in nuclear magnetic resonance (NMR inclusive of LCNMR and high-flowthrough techniques), mass spectrometry (MS inclusive of LC-MS and LC-MS/MS), microcalorimetry, and surface plasmon resonance may have upon medicinal chemistry. Section 9Summary serves as an overall summary for the document. In addition it discusses some areas for concern, including training of medicinal chemists, inventorship, and the interplay of patent trends and future research within the context of IP. The documents running dialogue has been developed from future possibilities suggested by the current medicinal chemistry and drug discovery literature, as well as from general observations afforded while consulting with both the private and public sectors. Descriptions of specific research projects have been interspersed throughout so that real case examples, along with their chemical structures, could be explicitly conveyed. A concerted effort has been made to keep hype to a minimum. Alternatively, jargon has been used whenever it was thought that such terms portray the mind-sets that were important for a given period, or because a particular term or phrase appears to be taking on an enduring significance. Some of the more technical of these terms are listed in a table in Section 1 Introduction, along with a short definition in each case. Since several acronyms have been used for repeating phrases, an alphabetical listing of all acronyms and their definitions is provided to assist readers as they move deeper into the document. The potential impact of some of the recent trends in process chemistry, and in analytical chemistry using Xray diffraction as an exemplary method, are additionally highlighted before reiterating the articles major points in Section 9. From this purview, the summary also considers the education of future medicinal chemists, notes potential issues related to the future of pharmaceutical-related IP, and concludes by alluding to a brewing paradox between enhanced knowledge and enhanced molecular diversity relative to the future discovery of new drugs. Numerous references to secondary scientific/primary news journals have been cited because these journals are doing an excellent job of both reporting the most recent trends and forecasting the potential future. In several cases, a single citation has been used to list many of the informational Web sites that can often be found for a given topic. 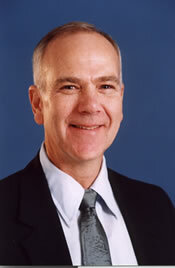 Dr. Paul W. Erhardt received a Ph.D. in medicinal chemistry from the University of Minnesota in 1974 and undertook postdoctoral studies in the area of bioanalytical chemistry and drug metabolism at the University of Texas at Austin. His early career involved bench-level research as a synthetic medicinal chemist within the pharmaceutical industry. He was with American Critical Care in Chicago for about 10 years as a research scientist, senior research scientist, and as a group leader. During this period he was directly responsible for the chemical design, synthesis and entire chemical-related pre-clinical/Phase I development of esmolol, a drug presently marketed as Brevibloc.® He then joined Berlex Laboratories in New Jersey as a Section Head where over the course of 10 years he became the assistant director of medicinal chemistry in charge of drug discovery and, finally, the assistant director across all pharmaceutical research and development activities. When the research operation of Berlex was merged with the biotechnology operations of two new corporate purchases located on the West coast, he became the medicinal chemist representative on a key task force that evaluated external technologies for the purpose of maintaining the companys drug development pipeline. During this period he became a Certified U.S. Patent Agent in order to better deal with the patent issues that often accompany external technology and its in-licensing. He also led the development of a unified technology beschluss (decision making) document which harmonized the optimal use of R&D resources across the Berlex/SAG corporate triad (Europe, U.S., and Japan) relative to the progression of all internal and in-licensed technologies from concept to market. With a lingering desire to be closer to the day-to-day experimental practice of bench-level medicinal chemistry, he returned to academia about seven years ago when he joined the University of Toledo College of Pharmacy as a tenured professor and director of the Center for Drug Design and Development. During this latest period he was awarded the Colleges Outstanding Faculty Award, and has stepped-in for one year as an acting assistant dean so as to directly participate in the Colleges formal academic accreditation process. Erhardt has also become active in IUPAC where he has edited a book about using drug metabolism considerations during drug design and development and where he has recently been voted president elect for the IUPAC Division of Chemistry and Human Health. His present research focuses on medicinal chemistry considerations pertaining to oncology, soft drug technologies, ADMET-related SAR and synergy, and chiral auxiliary synthetic reagents amenable to drug-related process chemistry. Page last modified 28 August 2002. Copyright © 1997-2002 International Union of Pure and Applied Chemistry. Questions or comments about IUPAC, please contact the Secretariat.